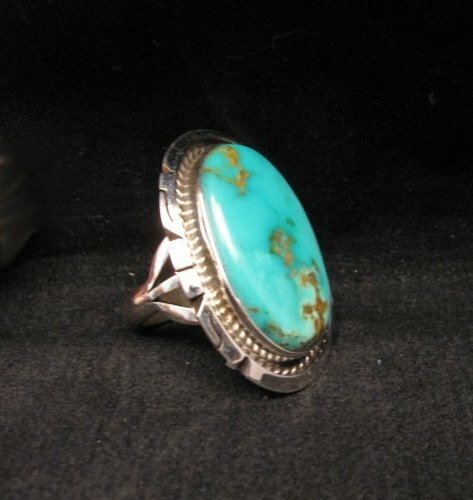 Native American handmade turquoise silver ring, created by Navajo silversmith Augestine Largo. 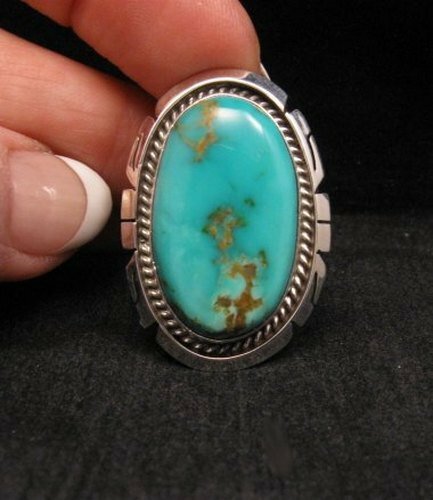 The genuine Kingman turquoise stone is a deep teal blue color and it is set in a carved sterling silver setting. Three-way split ring shank. 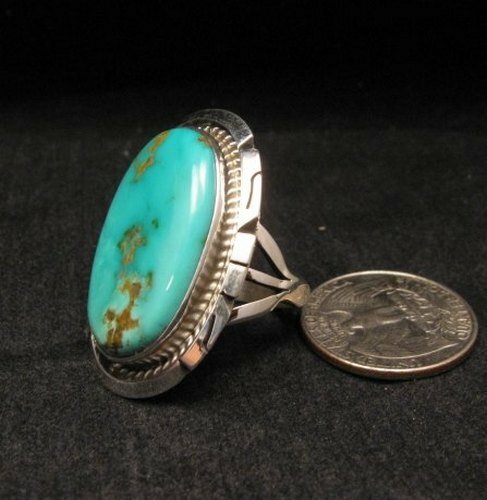 The face of the ring measure 1-3/8 inch long by 1 inch wide. 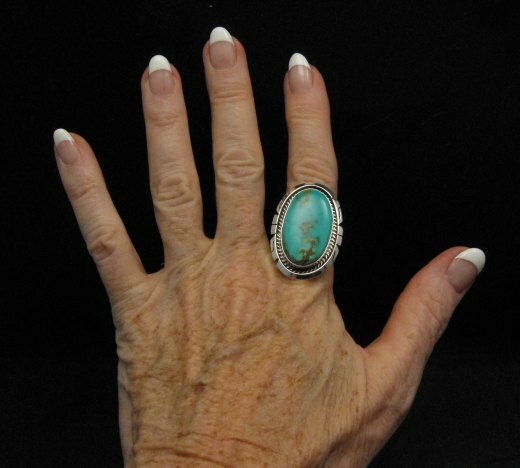 The ring weighs 14.7 grams. Size 8-1/2.